^ Bar-Yam, Yaneer. General Features of Complex Systems (PDF). Encyclopedia of Life Support Systems (EOLSS UNESCO Publishers, Oxford, UK). 2002 [16 September 2014]. ^ Alan Randall. Risk and Precaution. Cambridge University Press. 2011. ISBN 9781139494793. ^ S. V. Buldyrev; R. Parshani; G. Paul; H. E. Stanley; S. Havlin. Catastrophic cascade of failures in interdependent networks. Nature. 2010, 464 (7291): 08932. Bibcode:2010Natur.464.1025B. PMID 20393559. arXiv:0907.1182. doi:10.1038/nature08932. ^ Berezin, Yehiel; Bashan, Amir; Danziger, Michael M.; Li, Daqing; Havlin, Shlomo. Localized attacks on spatially embedded networks with dependencies. Scientific Reports. 2015, 5 (1). ISSN 2045-2322. doi:10.1038/srep08934. 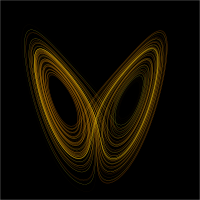 ^ 6.0 6.1 Majdandzic, Antonio; Podobnik, Boris; Buldyrev, Sergey V.; Kenett, Dror Y.; Havlin, Shlomo; Eugene Stanley, H. Spontaneous recovery in dynamical networks. Nature Physics. 2013, 10 (1): 34–38. ISSN 1745-2473. doi:10.1038/nphys2819. ^ 7.0 7.1 Majdandzic, Antonio; Braunstein, Lidia A.; Curme, Chester; Vodenska, Irena; Levy-Carciente, Sary; Eugene Stanley, H.; Havlin, Shlomo. Multiple tipping points and optimal repairing in interacting networks. Nature Communications. 2016, 7: 10850. ISSN 2041-1723. doi:10.1038/ncomms10850. ^ A. L. Barab´asi, R. Albert. Statistical mechanics of complex networks. Reviews of Modern Physics. 2002, 74: 47–94. Bibcode:2002RvMP...74...47A. arXiv:cond-mat/0106096. doi:10.1103/RevModPhys.74.47. ^ M. Newman. Networks: An Introduction. Oxford University Press. 2010. ISBN 978-0-19-920665-0. ^ Reuven Cohen, Shlomo Havlin. Complex Networks: Structure, Robustness and Function. Cambridge University Press. 2010. ISBN 978-0-521-84156-6. ^ History of Complex Systems 互联网档案馆的存檔，存档日期2007-11-23. ^ Ferguson, Adam. An Essay on the History of Civil Society. London: T. Cadell. 1767. Part the Third, Section II, p. 205. ^ Vemuri, V. Modeling of Complex Systems: An Introduction. New York: Academic Press. 1978. ISBN 0127165509. ^ Ledford, H. How to solve the world's biggest problems. Nature. 2015, 525 (7569): 308–311. doi:10.1038/525308a. ^ Forsman, Jonas; Moll, Rachel; Linder, Cedric. Extending the theoretical framing for physics education research: An illustrative application of complexity science. Physical Review Special Topics: Physics Education Research. 2014, 10 (2). doi:10.1103/PhysRevSTPER.10.020122. http://hdl.handle.net/10613/2583. ^ See also D. Carfì. Superpositions in Prigogine approach to irreversibility. AAPP: Physical, Mathematical, and Natural Sciences. 2008, 86 (1): 1–13. .
^ 26.0 26.1 Cilliers, P. (1998). Complexity and Postmodernism: Understanding Complex Systems, Routledge, London. ^ Dorogovtsev, S.N. ; Mendes, J.F.F. Evolution of Networks. 2003. doi:10.1093/acprof:oso/9780198515906.001.0001. ^ Fortunato, Santo. Reuven Cohen and Shlomo Havlin: Complex Networks. Journal of Statistical Physics. 2011, 142 (3): 640–641. ISSN 0022-4715. doi:10.1007/s10955-011-0129-7. ^ Newman, Mark. Networks. 2010. doi:10.1093/acprof:oso/9780199206650.001.0001. ^ Cohen, Reuven; Erez, Keren; ben-Avraham, Daniel; Havlin, Shlomo. Cohen, Erez, ben-Avraham, and Havlin Reply:. Physical Review Letters. 2001, 87 (21). Bibcode:2001PhRvL..87u9802C. ISSN 0031-9007. doi:10.1103/PhysRevLett.87.219802. ^ Barrat, A.; Barthelemy, M.; Pastor-Satorras, R.; Vespignani, A. The architecture of complex weighted networks. Proceedings of the National Academy of Sciences. 2004, 101 (11): 3747–3752. ISSN 0027-8424. PMC 374315. PMID 15007165. doi:10.1073/pnas.0400087101. ^ Yamasaki, K.; Gozolchiani, A.; Havlin, S. Climate Networks around the Globe are Significantly Affected by El Niño. Physical Review Letters. 2008, 100 (22): 228501. ISSN 0031-9007. PMID 18643467. doi:10.1103/PhysRevLett.100.228501. ^ Gao, Jianxi; Buldyrev, Sergey V.; Stanley, H. Eugene; Havlin, Shlomo. Networks formed from interdependent networks (PDF). Nature Physics. 2011, 8 (1): 40–48. Bibcode:2012NatPh...8...40G. ISSN 1745-2473. doi:10.1038/nphys2180. Bazin, A. (2014). Defeating ISIS and Their Complex Way of War Small Wars Journal. Chu, D.; Strand, R.; Fjelland, R. Theories of complexity. Complexity. 2003, 8 (3): 19–30. doi:10.1002/cplx.10059. Gell-Mann, Murray. Let's Call It Plectics (PDF). Complexity. 1995, 1 (5). Donald Snooks, Graeme. A general theory of complex living systems: Exploring the demand side of dynamics. Complexity. 2008, 13 (6): 12–20. doi:10.1002/cplx.20225. Sorin Solomon and Eran Shir, Complexity; a science at 30[永久失效連結], 2003. 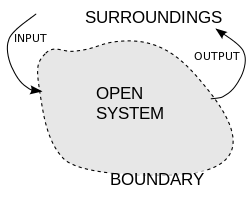 The Open Agent-Based Modeling Consortium. The Center for the Study of Complex Systems, Univ. of Michigan Ann Arbor. Introduction to complex systems - Short course by Shlomo Havlin. Jessie Henshaw. Complex Systems. Encyclopedia of Earth. October 24, 2013.